The Deep South Trilogy 2018 is an event organised to encourage athletes in professional water sports. The categories of sports are 1. Kayak Race 2. SUP Race 3. Windsport Races as well as other competitions like Swimming, Beach Volleyball, etc. In the current year’s competition over 94 athletes have registered for various categories from all over India. Participants from Rameswaram, Ramanathapuram, Tuticorin, Chennai, Madurai, Mumbai, Pune, Cochin & Bangalore. 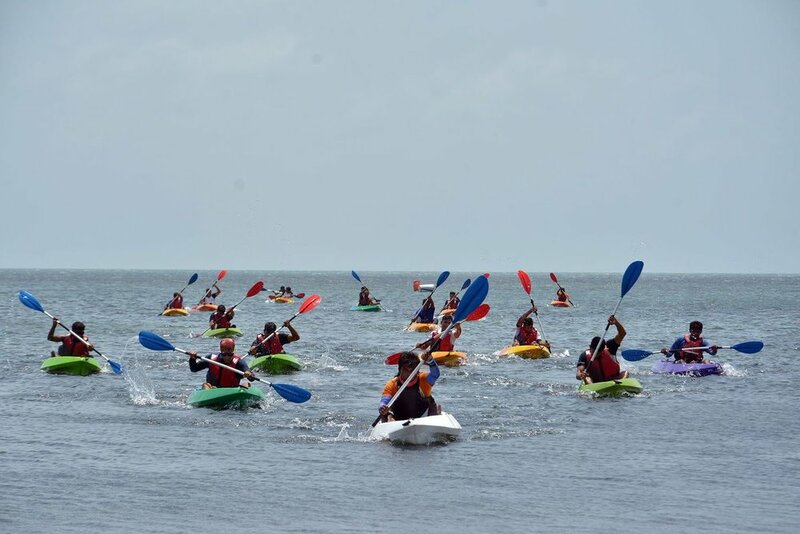 The age of athletes is between 18 to 34 years & practice sessions were organised by Quest Expeditions Pvt Ltd. and Holy Island Watersports with the support of the District Administration. 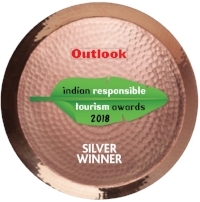 As well as other supportive organisations like Tourism Department, District Sports Authority, Fisheries Department, Coastal Security Group, Indian Coast Guard & other supportive organisations. There will be a special category of Kayak race for Fishermen students who are being trained in a two month tuition program sponsored by the Fisheries department. Students have been practicing all week and are looking forward to the races. Exposure to professional sports and races helps build strength, character and team spirit while creating various employment opportunities for youth in the tourism, sports & hospitality industry. For the SUP (Stand Up Paddle) races we have a celebrity Mr. Sekar Pitchai from Covelong, Chennai who has represented India in International Surfing Association (ISA) events in Fiji, Dubai, Denmark & Singapore. Sekar is a fisherman from Chennai who is now an International Athlete representing India in competitions worldwide. Sekar will be spending time with all the athletes during the event sharing his story & encouraging them to participate in more events in the future. 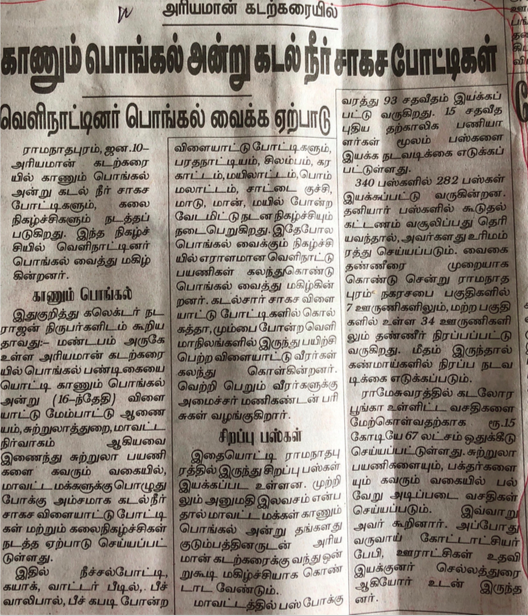 The coastline of Ramanathapuram district has very good natural conditions for conducting training in sports as well as hosting competitions. The races organised during the event are planned to accommodate maximum participation from trained athletes given the current weather conditions at the event venue.